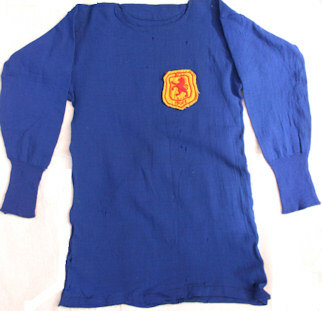 Although the Vale of Leven FC had declined as a footballing power by the beginning of the 20th century, both the club and the Valley continued to produce players who competed at senior level in both Scotland and England. This is a short account of those of them whom we have been able to identify. We’re sure that we’ve missed many, and that some of the details which we have included may well be incorrect or incomplete. Our information is only as good as our sources and there is no better source than a player himself. So if you are a player or former player or a friend/relation of someone who is and you are omitted or your details are wrong, please get in touch so that we can include your details or correct our errors. Those players such as Alex Jackson, John O’Hare and Ian McColl who appear in the Famous Vale Folk page on the web-site are not repeated here. The players who are included were not necessarily born and bred in the Vale, but they do have a Vale connection e.g. either having played for the Vale of Leven FC or they lived in the Vale for some time. One further requirement for inclusion is that they must have actually played a first team competitive game for a senior club as opposed to just being signed by them, although we do include clubs for which a player has signed but not played provided he goes on to play for another senior club in Scotland or England. Our information about players at Scottish clubs is more complete than for those who played in England. A few things are quite striking about this list of players with Vale connections. Firstly, there is no one who is currently playing senior football on the list and that’s simply because we haven’t been able to find a Vale man presently playing in the Scottish or English senior leagues. Considering just how productive this area used to be, that seems quite amazing, not to say worrying. Secondly, many who went on to play at the highest level never played for the Vale, even before the trend to recruit straight from school. Duntocher Hibs seem to have found the Vale in general and Renton in particular a happy hunting ground. Thirdly, the Vale seems to have produced a disproportionately high number of goalkeepers and very few free-scoring centre-forwards. There is of course the same number of each in every team – 1- so it’s a very easy and distinctive comparison to make. Is it something in the Vale psyche? – a “ They shall not pass” approach to life? As we all know, goalkeepers are a special breed and even within the tight-knit player community, the goalkeepers’ union operates to different standards. We are happy to pay tribute to our Vale keepers, particularly those who were playing senior football in the 1970’s and 80’s, who would happily turn up at Vale Gala Days in the Argyll Park and spend an afternoon of their summer break having children of all ages taking shots in at them. Virtually all of the Scottish-based keepers turned up for these fun afternoons and very much entered into the spirit of the Day. Some of them even managed to save the occasional shot. And finally, this is the longest gap by far since football started in the Vale in 1872 between appearances in a Scotland shirt by a Valeman. The last Valeman to play for Scotland was John O’Hare in 1972 – 39 years ago at the time of writing and before virtually every person now playing in the Scottish Premier League, with the exception of David Weir, was even born. The obvious question arising from the first and last of these observations is not so much why? But rather who is doing something about them? This is a quick check-list of players with a strong Vale connection who have played senior football in the 20th century with names linked to short biographies. Jackie Ashurst (Central defender: Sunderland, Blackpool, Carlisle, Leeds United, Doncaster Rovers, and Rochdale. Senior career 1971 – 1993). Jackie Ashurst comes from Renton and was born in 1954. However, he played very little of his football locally, apart from school football, being one of the first boys to go straight into a football apprenticeship with a senior club, more or less straight from school. In his case he signed for Sunderland as an apprentice in 1969 aged 15, and turned professional in October 1971 when he was 17. By this time he was well on the way to becoming the 6 ft versatile central defender who carved out a twenty year plus career in senior football in England – he never played professional football in Scotland. He featured in the Sunderland squad from 1970-71 onwards, along with fellow Valeman and future Sunderland captain, Bobby Kerr, although other Valemen Ian McColl (Sunderland manager 1965 – 68) Alan Black and John O’Hare had left before Ashurst arrived. He was a senior professional at Sunderland for 8 years, from October 1971 until leaving for Blackpool in October 1979. Ashurst featured in the Sunderland 1972 – 73 FA Cup-winning squad but did not play in the final itself. However, he did play a full role in their 1975 – 76 Second Division title triumph and was a regular First Division player. All in all, he played 140 games for Sunderland, scoring 4 goals. In October 1979, by which time Sunderland had been back in Division 2 for a couple of years, he was transferred to Blackpool, then in the Third Division, for the sum of £110,000 – quite a sum for a Third Division outfit at that time. He stayed at Blackpool for two seasons, playing 53 games for them and scoring 3 goals. Bobby Kerr was also at Blackpool at that time, having joined them in March 1979, also from Sunderland. At the beginning of season 1981-82 Ashurst was signed by Carlisle United for a fee of £50,000 and he was therefore re-united with his former boss at Sunderland, Bob Stokoe, who was by this time managing Carlisle. Stokoe appointed him captain as soon as he joined and playing in every league game that first season Ashurst helped Carlisle win promotion to the Second Division. While at Carlisle he took up a coaching role and in the last few seasons there he was the player/coach. In his 5 years at Carlisle, Jackie Ashurst played 194 games for them. By the end of season 1885 – 86 Carlisle were relegated and were looking to off-load their higher-earners, so it was good business for all concerned when Billy Bremner, by now manager of an ailing Leeds United who were firmly stuck in the Second Division, bought him for £35,000. Ashurst was by now 31 and some were surprised by his purchase, but Leeds badly needed a reliable central defender and Ashurst fitted that bill. In addition he performed as a stand-in captain as the need arose. After two seasons and 89 games for Leeds, Bremner sold him to Doncaster Rovers in November 1988. Dave McKay was the manager at Doncaster who bought him for £10,000, and he too made Ashurst captain. He actually had two terms at Doncaster, with a spell at Bridlington in between. In his first spell there he played 73 games and no doubt thought when he left in 1990 for the non-League team that his League career was over. However, a defensive crisis at Doncaster saw him summoned back for another couple of seasons and 66 games before he finally departed to Rochdale for a solitary game with them in 1992. At that point he retired just before his 38th birthday. In a career spanning over 20 years Jackie Ashurst played 616 games scoring 13 goals for English teams across all four Divisions. He played with and for many household names and was captain of many of these teams. He was the sort of player that managers sent for in a crisis – reliable and a leader on the Park – and the fans fondly remember him as an honest no-nonsense player whose commitment was never in doubt. Alan Black was raised in Bonhill but came originally from Glasgow where he was born in June 1943. He played school football with Jamestown and the Vale of Leven Academy and also in a West Dunbartonshire School team in which most of the players turned professional. Alan joined the highly prestigious Drumchapel Amateurs as a left back and from them he was signed for Dumbarton in 1961. Between 1961 and 64 he made 35 appearances for the Sons in the old Scottish Second Division. In 1964 he was signed by Sunderland, joining other Vale men John O’Hare and Bobby Kerr in their squad. He made his debut for Sunderland on 24th February 1965 against Manchester United at Roker Park in a game which Sunderland won. That was about as good a start as you could ask for and it should have heralded greater things to come. But it didn’t turn out that way. Ian McColl resigned as manager of Scotland to take up the Sunderland manager’s job in time for season 1965-66 and as so often happens in football, new managers see things differently from their predecessors. At the end of that season Alan Black departed Sunderland for Norwich City, having made less than 10 appearances in the first team in his two seasons at Sunderland. Things were quite different at Norwich City however. Norwich was then an ambitious mid-table club in the Second Division, but stable and well run. Black became an established member of the first team squad and in his 7 years at the Club he played 176 games for them, being a regular in the 1971-72 team which won the Second Division title. They did manage to hold on to their First Division status in their first season up 1972-73, but Black left Norwich at the end of that season. After nine seasons away he came back to play for Dumbarton for a single season – 1973-74 when he played 10 games before retiring. Alan settled back in the vale where he still stays. Johnny Browning played for Celtic between April 1911 and June 1919, scoring 65 goals in the 217 games he played for the club, including 15 from 38 league matches during the 1914-15 season. In 59 matches in a 62 match unbeaten run, a British record which stands to this day, between 1915 and 1917, he was the top scorer with 20 goals. As a strong, direct left winger, he was a mainstay of the Celtic team which won 4 league titles in succession and he scored two goals in the replayed final against Hibernian to help Celtic to the 1914 Scottish Cup. Johnny also scored in the Glasgow Charity Cup Final in 1915 to help Celtic to a 3-2 win over Rangers at Ibrox Park. He won one international cap, appearing in a goalless draw against Wales in 1914, and represented Glasgow in the same year and the Scottish League twice. Having played for Dumbarton Harp and Vale of Leven before joining Celtic, he subsequently moved to Chelsea, for whom he made only 6 appearances. In his final game for the Londoners in February 1920, he scored in an FA Cup 3rd Round win against Leicester City before returning to finish his career with Vale of Leven and, finally, Dumbarton, in 1921. John Browning junior was a left half who played 19 games for Liverpool and later played for Cowdenbeath (1946-47). He made his debut with Liverpool towards the end of the 1934-5 season after starting his career with Bridgeton Waverley and Dunoon Athletic. He left Liverpool for Gillingham in August 1939 and, for the War years, he played for Dumbarton (and Albion Rovers as a guest), finally moving to Cowdenbeath between 1945 and 1947. Bruce, Daniel (Forward, Vale of Leven; senior career late 1880’s – 1890’s). Daniel was the older or 2 Bruce brothers who were born and bred at 475 Main Street Bonhill opposite Dillichip Loan. They belonged to the second generation of notable Vale players, Dan being born in 1870 thus being only a couple of years older than Vale of Leven FC itself while Walter was a couple of years younger than Vale FC being born in 1874. Daniel was a goal-scoring forward who goals helped the Vale to their last Scottish Cup final appearance in 1890 – he scored in almost every round including the cup-final replay, but couldn’t stop the Vale losing that replay 2-1 to Queens Park. It was probably these exploits which helped him win his only Scottish international cap, against Wales in 1890, which Scotland won 5-0. He was one of 3 Vale players in that victorious Scottish team the others being John Murray and Andrew Whitelaw. However, in spite of the income from the Cup run, these were hard times financially for the Vale and in 1891 Dan signed for Rangers, being amongst the first if not actually the first Vale player to do so. Although he was only at Rangers for a season, in the 4 games he played for them he scored 5 goals. Probably it was the lure of higher earnings in England which took Dan down south and in 1892 he joined Notts County – playing in England at that time meant that he would not be selected to play for Scotland, which is the major reason that Dan earned only 1 Scottish cap. Playing 89 games for Notts County between 1892 and 1895, Bruce scored 47 goals, and in 1894 he won an FA Cup medal with the club. The following year saw him on the move again in England when he was transferred in 1895 to Small Heath, which was renamed Birmingham City in 1905. Dan was only there one season before coming back to Scotland in 1896. Back in Scotland he played firstly for Perth and then spent some time playing for the Vale before signing for St Mirren in 1897. His younger brother, Walter, joined him at St Mirren player the following year and Dan seems to have finished his career with the Buddies. He died in 1931, aged 61. Daniel Bruce has another claim to fame, this time as the source of the nickname “Jeely Eaters” for Vale folk. According to local historian John Agnew writing in the Lennox Herald in July 1966, Daniel told him that some Valemen, supporting the Vale FC at an away fixture in the Stirling area, came across a wee shop which was selling very small pots of jam. They bought the pots and tied them to their lapel button holes to denote that they were from the Vale, and the rest, as they say, is history. Far fetched it may seem, but in the general scheme of Valemen at play its actually one of the more sensible, if not wholly believable, stories. Bruce, Walter (Half Back, best known as a Centre Half: Vale of Leven, St Mirren; senior career c 1893 – 1908). Walter Bruce was the younger brother of Daniel Bruce (see above) and was born in Bonhill in 1874. His first club was Vale of Leven FC which he joined about 1893. This was not the most auspicious time to be joining the Vale because they were on the verge of extinction – desperately short of money they were finding it hard to attract good players and even harder to keep them. Inevitably this began to show up in results and crowds declined. In November 1894 Walter played at centre half in a Vale team which lost 8-0 to Queens Park at Millburn. At least the socialising was good – after the game Queen’s missed the last train and had to stay overnight. However, neither the finances nor the football improved and at the end of 1894-95 no Vale players were being paid and most including Walter Bruce were reinstated as amateurs. This essentially made them free agents, which was just as well because at this point Vale FC was to all intents and purposes defunct. Walter then played for Renton for a time, but in September 1898 he joined St Mirren, for whom he played for the next 8 seasons. He joined the Saints the year after his older brother had joined them, so it’s quite possible Dan helped to arrange the transfer. Walter was soon at the heart of a half-back line which became cult heroes to the Saints support: Greenlees, Bruce and McAvoy, who were nicknamed “Faith, Hope and Charity”. As is the way with football fans, their names remained entrenched in the Paisley collective memory for decades after they had retired. His performances for St Mirren earned Walter two caps for the Scottish League – in 1902 and 1903, both against the Irish League. His accompanying photograph shows him in the Scottish League strip for one of these games. The strip and caps have survived in the possession of his grandson Gordon Burns and so thanks to Gordon we can show them in colour. The striking thing is that it is not the dark blue of the current Scottish international jersey but a much lighter blue, close in colour to the current Italian strip. Having played 117 games for St Mirren and scored 10 goals for them in his 8 seasons with them, Walter left the Saints at the end of season 1907-08. He worked at Singers until his death in 1941, aged 67. Drew Busby (Third Lanark, Partick Thistle, Vale Juniors, Airdrieonians, Heart of Midlothian, Toronto Blizzard, Morton, Queen of the South, player-manager. Senior career 1966 – 84). Born in December 1947, Drew Busby was an Alexandria boy and that is where he still lives. He had a very full football career which saw him witnessing from a player’s viewpoint some of the rummest goings on in post-war Scottish football – and being able to tell a good tale about them to this day. He was a versatile player who started off as an inside forward and later often played in the midfield. No matter where he was on the park he had a sharp eye for goal and the skills to crack them in, which combined with his robust, never-say-die style of play made him a great favourite with the fans. Drew started his career with one unique distinction – one which no one knew at the time, of course, and one which he would never had sought: he was the very last player to be signed by Third Lanark who were then in the old Scottish B Division. He signed for Thirds from Dumbarton United in 1966 in time to play 11 games for the Hi-Hi’s in season 1966-67, scoring 5 goals. Not only was he the last person to sign for Third Lanark, Busby was also the last person to score for them at, of all places, Boghead. This was the last game of the season played on 28th April 1967 and Dumbarton won 5-1, with Drew scoring Thirds’ only goal. It was a sad end to an illustrious club, and an even sadder end of the season for the Thirds players who all lost their jobs as soon as the season ended. While it had been coming for some time, there was nothing inevitable about it. As recently as 6 years before Thirds had finished 3rd top of the First Division and had scored 100 goals in a season. But since then things had been going downhill fast under the Chairmanship of Bill Hiddleston who was posthumously accused by a Board of Trade Inquiry of being blatantly corrupt; the Inquiry recommended a police investigation into the affairs of the club and in July 1968 four former directors of Third Lanark were fined for contravention of the Companies Act; Hiddleston had died in November 1967 before any charges were brought against him. In a nutshell the club was run solely for the benefit of Hiddleston and his clique whose only interest was in making money for themselves out of the club. Third Lanark was duly declared bankrupt and liquidated in 1967, but not before the ground, Cathkin Park, had been sold by Hiddleston for housing. This proved futile since Glasgow City Council refused to grant planning permission for housing, which makes you wonder why the then local Council didn’t take a similar approach with Clydebank, but that is no doubt another story. The actual Cathkin Park playing surface and some of the surrounding terracing still survives and the pitch is used by amateur club Third Lanark AC FC. •	Paying the players in silver from the gate money – Evan Williams bears witness to this, saying that when he kept goal for Thirds a few years before Drew played for them, he received his £8 wages after the game in 2/6d pieces, all 32 of them. Drew Busby is on record as remembering that when the League introduced a new regulation that every game had to start with a brand new white ball, Thirds players were instructed by management to kick the ball out of Cathkin with their first touch so that an old whitewashed ball could be thrown on from the home dug-out to replace it and thus save the cost of a ball for every home game. This was still in the days of caps on players’ salaries and Thirds were still playing to pretty decent crowds, so there was no pressing financial reason for them to behave as if they were broke. It was all down to greed to get as much cash into the Directors’ pockets as possible. The players at the youth team which Busby had just left, Dumbarton United, were far better treated than were the professionals at Third Lanark. So having played 11 senior games and having scored 5 goals – a pretty fair record in his first season – he found himself out of a job when the Hi-His went defunct. You would have thought that he would have been pursued by a number of senior clubs, but surprisingly he was not. After playing a solitary game for Partick Thistle at the start of 1967 – 8 season, he decided to play junior football for his local club Vale of Leven FC. He had 3 successful seasons, 1967-8, 1968-9, 1969-70 playing for a Vale team which included the likes of Neil McCallion, John Dolan, George Masse and John Young. In his final season, 1969-70 Busby helped the Vale to get promoted to A Division of the Central League. By this time Airdrie were on Busby’s trail and that of his Vale team-mate and centre-half, Columb McKinlay. At the start of season 1970-71 aged 23 Busby once again joined the ranks of the seniors when he signed for Airdrieonians, who were at that time in Division 1. His first season back in senior football could hardly have gone better for him: he played in 40 games in all competitions scoring 24 goals, 19 of which were in the League and in the process helped Airdrie reach the semi-final of the Scottish Cup. Drew had amply repaid Airdrie’s faith in him. Even to-day he is thankful to the Airdrie management that rescued what had been a very promising career which seemed to have reached a cul-de-sac through no fault of Busby. Over the next two seasons with Airdrie he continued to knock the goals in – scoring 34 in all competitions over these two seasons. A notable feature of his goal-scoring prowess was his partnership with another prolific scorer and another Drew - Drew Jarvie. These two are still held in very high regard by the Airdrie fans who fondly remember their days at the Diamonds. The combination was noted by many clubs and to-wards the end of season 1972-73 Hearts tried to buy them both. In spite of the pair’s best efforts Airdrie were relegated that season and keen to sell both Busby and Jarvie to fund the expected lean time in Division 2. As it happened, Aberdeen outbid Hearts for Jarvie and he signed for the Dons, but Hearts were luckier with Drew Busby. Drew signed for Hearts in the summer of 1973 and thus began a career which earned him legendary status at Tynecastle. Busby was a strong, bustling type of player well able to look after himself and always capable of upsetting a defence by his physical presence alone. His style of play would have endeared him to the Hearts support - he always gave his all for the cause – even if he hadn’t scored a goal. The goals came at the rate of about 15 / 16 per season in the 6 seasons he was at Hearts, which was very good considering the mediocre quality of the Hearts squad at the time. Although Hearts made it into the first Premier League when the League was re-organised in season 1975-76, they were relegated the following season 1976 – 77. They gained promotion back into the Premier League 1977-78 but were relegated again in Busby’s last season at Hearts 1978-79. This yo-yo performance was symptomatic of the behind-the-scenes turbulence at Hearts in those years which only ended with the arrival of Wallace Mercer some time after Drew left Hearts. There were many problems, and they included a recurring one at Hearts in recent years - the players being in dispute with the management about non-payment of money due to them. Indeed many readers may remember a memorable afternoon at Boghead from around this time when Dumbarton were playing Hearts. After the half-time break the Dumbarton team and the officials came out onto the pitch to find the Hearts half of the pitch as deserted as the Marie Celeste. It became quite obvious that this was not just an over-running team talk from the Hearts manager and that something more significant was taking place. The Hearts players did eventually appear and the game resumed, but it was only later that it became known that the players had held a sit-in at half time and refused to come out until the non-payment of their wages was resolved. This was only one aspect of the back-stage turbulence at Tynecastle in those days and Busby must have felt that he had been through many similar problems before with Third Lanark. Busby’s record of 84 goals in 5 seasons at Hearts is very creditable, especially in the circumstances and he was a great favourite with the fans. However, with relegation and all the back-stage shenanigans it was a good time to look to pastures new. And the pastures he found could hardly have been newer. In 1979 he was enticed to play in the North American Soccer League, which had been recently established, for a new team which had been created out of a couple of existing ones – the Toronto Blizzard. He was in good company, for in the 2 years in which he played in Toronto his team mates included Jimmy Bone (ex Partick Thistle etc), Peter Lorimer (Leeds United), Willie McVie (Clyde and Motherwell) and another Hearts player Bobby Prentice. The beginning of season 1980-81 saw Busby back in the Scottish Premier League for a two season stint with Morton during which he played over 50 games for the Greenock club. By season 1981-82 he was 34 years old and it was obviously a good time to think of a slight change of his footballing direction, and to find out whether or not he was suited to management. At the start of season 1982 – 83 he became of player-manager for Queen of the South. The Dumfries club had just been relegated into Division 2 when Busby took over, and he no doubt hoped to manage them to a quick return. It was not to be. Two seasons being stuck mid-table in the lowest level of the Scottish League had no appeal and Busby left at the end of season 1983-84. That was the end of Busby’s football career which saw him play about 500 senior games in Scotland in all competitions, scoring about 160 goals in the process. He then bought a pub – the Waverley - in West Bridgend in Dumbarton where he is still a very popular mine host. John Campbell, or “Camshie” as he was better known to his many friends in the Vale, was a right back who signed for Motherwell in season 1954-55 from Junior Club Kirkintilloch Rob Roy. Soon after signing, he was called up to do his two-year National Service , most of which he spent at the air bases on the Moray Firth and while up there he was farmed out to Highland League teams such as Forres Mechanics. In 1955 while he was on National Service, the Motherwell manager who had signed Camshie, George Stevenson, was replaced by Bobby Ancell. This was the time of the “Busby Babes” at Manchester United and Motherwell started to style their squad the “Ancell Babes” as Ancell replaced the older squad with younger players many of who became Scottish internationalists such as Ian St John, Willie Hunter and Andy Weir. The first of these changes were taking place while John was away and by the time he returned Ancell had a settled defence and chances were few and far between. Nonetheless, when he did make his first-team debut in season 1957 – 58 he was hailed as another promising “Ancell Babe”. Chances remained elusive and John moved on from Motherwell in April 1959. He went to Chesterfield for a very short time, but soon returned to Scotland to play almost a full season for Morton, 1959-60. He played a few games for Morton the following season and then moved to East Stirling but retired from playing professionally in 1961. Sadly John died in April 2010. Note: We are grateful to Camshie's son, Ross for this interesting anecdote. Hi, can I please add to the information you have on my late father on your website. Very good I may add. Whilst John was farmed out when stationed at RAF Lossiemouth during his national service, he played for Nairn County who won the North of Scotland Cup whilst he was there. He finished his Professional career after East Stirling at Berwick Rangers. The Steedman's in charge of East Stirling didn't really fancy John as a full back, hence he was released. He was asked to "trial" for Berwick Rangers in a game against East Stirling on the right wing, just to prove he was fit enough to work up and down the wing the same way a full back would. He scored 2 goals in that match and was rewarded with a contract for the remainder of the season in the presence of the Steedman's after the game. Followed swiftly with a Camshie 2 fingered salute to his old East Stirling Boss! He took a "sickie" from work to go down for the week to Berwick after that game against East Stirling. During that week Newcastle United freed one of their players, a former Scottish Internationalist called Bobby Mitchell, a left winger. This being big news for Berwick Rangers, the media arrived to witness his signing. The following day on the back pages of some Scottish Daily newspapers was the picture of Bobby Mitchell in front of the Berwick Rangers team who had just finished a training session. Needless to say Camshie's mug was caught fair and square on the back pages of the papers, whilst on "sick leave". The following Monday morning Camshie was called into his Gaffer's office and confronted with a table full of newspaper cuttings and asked if he really needed to go to the seaside to cure his ailment..
At about 6ft 6 inches, Joe Carson was for many years the tallest person to play in the Scottish Premier League, hence he is always referred to as “Big Joe”. He was born in November 1953 and has lived in Alexandria for the whole of his life, even when playing for the likes of Arbroath and Stranraer. In season 1972-73 while playing centre half for Vale Juniors Joe was signed for Arbroath by their legendary long-serving manager, Albert Henderson. Albert was definitely an old-school Scottish manager who subscribed to the “they shall not pass” approach to defending, a message which he drilled into Joe. It worked, too, because Joe was a first team fixture at Arbroath for over 6 seasons before being transferred to Motherwell about halfway through his 7th season in the first team, 1979 – 80. He proved to be a shrewd investment by Henderson, playing about 170 games for Arbroath and then earning a good transfer fee when he moved to Motherwell in 1980. Motherwell were still in the First Division when Joe moved there, and were managed by Ally McLeod in his first club job after leaving the Scottish manager’s job. David Hay replaced Ally as manager in 1981-2 and immediately got the club promoted, but then he too left at the end of the season. During the close season Jock Wallace took over the manager’s job at Motherwell in time for the start of the new season 1982-83. Jock had just resigned as manager of Leicester City to move back to Scotland with Motherwell and as luck would have it newly-promoted Motherwell’s first game of the season and therefore Wallace’s first game back in Scotland was against Rangers at Fir Park. Not far into the game Motherwell won a corner and Joe used his height against the Rangers defence to power a header into the Rangers net. Joe had announced his arrival in the Premier League, Jock no doubt had a few mixed feelings. To-wards the end of season 1983-84 Joe was transferred to Dumbarton who were in Division 1 at the time. In all he played about 130 League games for Motherwell scoring a useful 8 goals for them. He didn’t stay any time at all at Dumbarton but joined Partick Thistle in the summer of 1984 and played for them for the next 3 seasons from 1984-85 until the end of season 1986-87. He was a first choice central defender for the Jags and in 3 seasons Joe played just over 100 league games for them scoring 9 goals. However, his senior career was coming to an end and in his final season 1987-8 he started off playing a number of games for Stranraer before coming back to Dumbarton to finish off with a few games with them. At the end of season 1987-88 Joe hung up his boots as a senior and returned to play at Millburn for a couple of season. When he finally retired from playing he joined Vale’s coaching and training staff for a couple of years. Nowadays he’s a regular attendee on the terraces at Millburn. During his senior career Joe played a total of 425 League games at various levels in Scottish football, including in the top flight of the day. In these games he scored 27 league goals. In addition, he played in a further 46 League Cup and 25 Scottish Cup games. In addition Joe has the unusual distinction of being the only player to be sent off in 2 matches in a row played against the same team, the first on a Saturday in a League game and the second time in a cup game on the Wednesday night. He was some club’s player of the year either Motherwell or Partick; seems most likely 1986-87 Partick, but that could well be wrong. Tom Carson (Vale Juniors, Dumbarton twice, Dundee, Hibernian (L), Partick Thistle (L), Queen of the South (L), Dunfermline (L), Ipswich (L), Raith Rovers, Vale Juniors, Dumbarton as manager. Senior career 1979 - 94). Tom Carson is the goalkeeper younger brother of Joe. Like Joe he is an Alexandria boy, having been born in the Vale in March 1959 and played junior football for Vale Juniors from 1976 till 1979. He went senior with Dumbarton in 1979-80, and in the following season he replaced the iconic Laurie Williams as the Dumbarton first choice goalkeeper. In the 5 seasons that he played in this first spell at Dumbarton, between 1979 and his departure for Dundee in the summer of 1984, Tom played 149 league games for Dumbarton and about 25 in various cup competitions. Moving to Dundee was a step up for Tom because Dundee were in the Premier League when he was transferred to them at the start of season 1984-85. To begin with he was first choice keeper, but as every keeper knows, this is the most competitive position in the team and if you lose your place through injury it can be very hard to regain it. The other aspect of that position is of course that being a specialist position, most clubs only have 2 or 3 keepers and have to look to other clubs to help them out with loans whenever an emergency arises with keepers being out of action through injury. The footballing authorities recognise the likelihood of this happening and goal-keeping loans are nodded through even outside the two transfer windows. This worked in Tom’s favour at Dundee, because if he wasn’t playing in the first team for Dundee, he was frequently keeping goal on loan at another club. The loans started in season 1986-87 when he went to Hibs, but reached their peak the following season, 1987-8, when Tom played not only for Dundee, but he also went out on loan to Partick, Queen of the South, Dunfermline and Ipswich so playing for no less than 6 clubs in the one season, which may well be something of a record. He then returned to play at Dundee for the best part of 4 seasons before going on loan to Dumbarton in season 1991-92 to play a number of games. This was his last loan from Dundee because at the end of that season and after 8 years at Dundee he decided to move on. For season 1992-93 Tam joined manager Jimmy Nicholl’s Raith Rovers as they won promotion to the Premier League, and stayed for them for the next season, 1993-94, the last in which he actually played senior football (he did register himself as a player in April 2002 to cover an injury crisis while managing Dumbarton, but didn’t play). Calling it a day as a senior player, Tam went back to play for a number of years in a strong Vale Juniors team, where he developed an liking for using his experience to coach the younger players. This took him back to Dumbarton where he was appointed manager in October 2000. At the time Dumbarton were languishing in Division Three, very much the basement of Scottish football. By the end of the next season, 2001-02, Tam had managed them to promotion to Division Two. Onwards and upwards you might have thought, but this was, after all, Dumbarton FC. In June 2002, within a month or so of winning the League Tam had departed in circumstances which had never been explained to the public. Dumbarton soon returned to their deserved place in the basement of Scottish football, but so far Tam has not returned to management. Vale man Drew Checkley, a wing-half, joined Dumbarton from Vale Juniors in season 1973-74. He played a number of games for the Sons in season 1974-75 when they were in the old Scottish Division 1, the last before the setting up of the Scottish Premier League. He left Dumbarton at the end of the next season 1975-76. Donald Cameron Cunningham, known as Donald Colman. (Motherwell, Aberdeen, Norway, Dumbarton where he started as player-manager Senior career 1905 - 1923). Donald Cameron Cunningham, to give him the name he was born with, is easily the Vale’s best-kept 20th century footballing secret, going unmentioned and unsung in the Vale and yet his legacy is to be found at every senior ground in Britain and most of the better junior ones in Scotland as well. He is the man who introduced the dug-out into British football and the first one was at the ground and the club where his name is by no means forgotten – Pittodrie and Aberdeen. From the beginning almost to the end, his story has all sorts of twists and turns which catch your attention, and is high in the derring-do spirit of “Roy of the Rovers”. Not only was Donald Cunningham or Colman born in Renton in August 1878, it was in Renton teams that he learned his football skills which were to turn him into a tough, uncompromising right back. The chronology of his early footballing days is still unclear, but he played for Tontine Athletic and Renton FC before moving on to Junior football with Glasgow Perthshire and Maryhill, and his talent at this level was well-enough recognised to earn him a Junior cap. He very much enjoyed football and he knew he was good enough to play it professionally, but he was worried that his parents in Renton and his father in particular, would not approve. So, in the best Renton and Vale football tradition (and professional running it has to be said) he adopted an alias and played under the name Donald Colman (Colman was his grandmother’s name). By the time he learned that his parents did not mind in the least that he was a professional footballer and were in fact proud of his success, he decided it was too late to change his name back and Donald Colman he remained for the rest of his very long footballing life. He was a late starter in turning professional, being 27 when he signed for Motherwell in 1905. Having played for them for 2 years, Motherwell gave him a free transfer at the end of his second season, perhaps believing that he was too small for a defender. He probably feared that that was the end of his professional football career. In fact it was just about to take off. A former Maryhill team-mate who was playing at Aberdeen recommended him to the Aberdeen management, and they promptly signed him. So, at the age of 29 Colman moved to Aberdeen in 1907 and quickly established himself in the team, being retained as a player until 1920 when aged 42 he retired from playing, but not from the game itself. Within a year or so of joining he was made the Aberdeen captain in 1908 and went on to be one of Aberdeen’s most distinguished captains. As a player he is characterised as a thinking defender who had “an amazing football brain” relying more on it than muscle, but he never shirked a tackle. As well as being a fixture in the Dons’ team, Colman also won caps for Scotland. In 1911 he won the first of his 4 caps; he was 33 years old when he won that first cap, which makes him the oldest Aberdeen player to win a first cap, and one of the oldest Scottish internationalists to do so. He won another 2 caps in 1911-12 and a further 4th cap in season 1913-14, the last season before the outbreak of WW1. Unlike in WW2, Division 1 in Scotland continued throughout the war, although Aberdeen and a few other teams were asked to drop out for the duration in 1917 to reduce travel costs and effort. However, Colman was not there to see that because by then he had been in the Army serving in France for some time and was there until the war ended. When he was demobbed from the Army many people must have thought that his playing career was over. But no, when Aberdeen rejoined League Division 1, Colman resumed his right back position and played regularly in his final season, 1919 – 20. At the end of that season Colman hung up his playing boots, at least at Aberdeen, aged 42. In the years between 1907 and 1920 Colman played 324 games for the Dons. When you exclude the years he served in the forces, he was playing over 30 games a season for Aberdeen. Its ironic that the man who arrived aged 29 on a free transfer should finish at Aberdeen as a Scottish Internationalist, the Club Captain, the oldest person ever to play for Aberdeen and receiving accolades on his retirement such as of being of incalculable worth to Aberdeen. His intelligent, thoughtful and innovative approach to the game, even when he was playing, suggested that a career in management beckoned. As a player he thought a great deal about how to play the game and concentrated on possession football and making space work for you. When most players took a holiday, or more likely a job, during the summer break Colman headed to Norway where the weather dictated that football was a summer game. There he not only studied Norwegian methods, but he also started to coach teams as well. His travels to Norway continued during his time as a football manager, but it was on his early visits as a player that he “discovered” that essential shelter beside every Norwegian pitch – a covered and sunken “dugout”. There is speculation that Colman particularly wanted a sunken dugout because he wanted to study players’ footwork and that’s quite possible. It seems more likely however, that dugouts were sunken so as not to obstruct spectators’ views of the pitch. In any event, Colman brought the idea of the dugout back to Pittodrie; it would be hard to imagine a ground more in need of this innovation, winter and summer. Only Arbroath’s Gayfield runs it close, both of them being within a few yards of the North Sea. The first dugouts in Britain were installed at Pittodrie, probably about 1920, although strangely enough no one seems certain of the date. Everton came up to inspect them and their Goodison Park was the first ground at which they were installed in England. By that time Colman was the Dumbarton manager. His former Aberdeen team-mate Pat Travers who as Dumbarton manager had signed Colman for Dumbarton in 1921 left Dumbarton in the summer of 1922 to take up the reins at Pittodrie, and Colman succeeded him as manager, or as player-manager, as it turned out. He was to stay in that role until 1931 when he again succeeded Pat Travers, this time as Aberdeen manager. This 9 year spell has so far made him Dumbarton’s longest-serving manager, and it certainly doesn’t look as if anyone’s going to break that record anytime soon. Colman’s time at Dumbarton coincided with the first period of post-war economic Depression in the 1920’s which hit the area particularly hard, and survival itself was a success. One highlight of his time at Boghead, however, was when Colman signed fellow-Rentonian Alex Jackson then aged 17 in September 1922. The future Wembley Wizard played only one season, 1922-23, for Dumbarton before heading to the USA for a brief stint playing with his brother. When he returned to Scotland it wasn’t to Dumbarton – Jackson signed for Aberdeen. Colman, too, headed back to the Dons in 1931 when Paddy Travers appointed him as coach. His second spell at Aberdeen was as notable as his first - he was an innovative and influential coach, spending much time and effort on players' footwork and working on ideas such as possession football and using space. He helped another Valeman, Willie Mills, develop his very considerable talents after he arrived at Aberdeen in 1932. It was the outbreak of WW2 which effectively ended Colman’s career in football. Although Aberdeen continued to function as a football club, there was no real call for Colman’s coaching skills. Nowadays the management and coaching skills of this quiet-spoken, thoughtful man are regarded as being ahead of his time, with his great emphasis on fitness, healthy living and diet – a message that has still to reach many of the recesses of Scottish football. Ironically, this man who had such an extended playing career did not actually make it to the official retirement age; Donald Colman died of tuberculosis in Aberdeen in 1942, aged 64. Allan Craig who was an inside forward joined Alloa Athletic from Vale Juniors in season 1972-73. He played a number of games for them and by 1974-75 he was a regular in the first team at Alloa. However the next season, 1975-76 he was back at the Vale where he played until into the 1980’s except for a couple of seasons 1979-81 at Beith. Very much a fans favourite at the Vale, he is now a regular supporter at Millburn. Campbell Crawford was an Alexandria boy who was the younger brother of George Crawford. His football talent was recognised at an early age and he played for Scotland as a schoolboy internationalist. He was signed as a youth West Bromwich Albion and soon broke into the first team. Indeed he was in the West Bromwich team which played Manchester United in September 1963 at Old Trafford in what was George Best’s 1st game for Man U – he wasn’t much older than Best. He played a number of first team games in season 1963-64 but he never seems to have made the breakthrough into automatic choice full back. In 1967 he moved to Exeter City for whom he played about 230 games. At the end of season 1973-74 he left Exeter to join Kidderminster Harriers who were at that time a non-league club. George Crawford was the older brother of Campbell Crawford who played centre half in the Vale of Leven Academy FP team which got to the Scottish Amateur Cup Final in 1956. The following year he joined Dumbarton for a single season 1957-58 but at the end of that he returned to amateur football. However, a year after that he playing senior league football again as an amateur with Queen’s Park in season 1959-60 for whom he also played in 1963 – 64. In between he seems to have spent some time playing for Renton Juveniles. Danny Currie was born and bred in Renton and was the epitome of the small, nippy Scottish inside forward. Like many other Rentonians who feature in this article, Danny’s junior club was Duntocher Hibs, and it was from them that he signed for Clyde in season 1953 – 54, making his first appearance for the Bully Wee the following season, 1954-55. In those days Clyde were still playing on the Glasgow / Rutherglen border at Shawfield and drew a big support from Bridgeton, Rutherglen, Oatlands and the Gorbals. They were a power in the land with some outstanding players such as Harry Haddock, Tommy Ring, Archie Robertson and George Herd. Danny was playing in some very good company indeed. Although Danny had established himself in the first team squad during seasons 1954-56, by 1957-58 he had stepped up a gear and was an automatic choice as inside right. At outside right was one of Clyde’s best post-war players, George Herd who went on to play for Sunderland. Danny and George made a deadly duo for a couple of seasons, especially 1957-58 when Danny scored 12 League goals and a further 4 in the Cup. His efforts helped Clyde to the Scottish Cup Final in April 1958 where before a crowd of 94,000 they beat Hibs 1-0. It was also a good season for Danny personally as he won 3 Scottish Under-23 caps, with a 4th coming the following season 1958-59. By the late 1950’s and early 60’s many of Clyde’s finest players had either retired or been transferred – Danny’s right-wing partner was transferred to Sunderland in 1961 – and in league terms Clyde had become a classic yo-yo team with virtually alternate years of relegation and promotion. Danny remained a first team regular but by the end of his 9th year playing for Clyde he no doubt knew that his time there had drawn to a close. Having played over 200 competitive games and scored 60 goals for Clyde, he left early in season 1963-64 to join Queen of the South. The Dumfries-base club were in the 1st Division in 1963-64 when Danny joined them. He stayed with them for three seasons making over 60 League appearances and scoring 14 goals in these games. At the end of his third season at Queen of the South in April 1966 Danny called it a day not only on the “Doonhamers” but also on his senior football career. He is fondly remembered by the footballing fraternity as an entertaining, honest to goodness player. Everyone who knew him in Renton and the Vale had the highest regard for him as a person and his popularity remains undimmed. Perhaps there was no better example of the sort of person he was than the true tale of him taking a lift to game on a Supporters Bus. Danny was standing by a bus-stop in Renton waiting for a bus to take him to play in Glasgow; this was in the days when even at the largest club only the directors had cars, so Danny was standing patiently waiting his turn in the bus queue when along comes an Old Firm supporters bus heading for a match. It screeched to a halt and Danny was invited on board for a lift to Glasgow, which he promptly accepted. He then chatted to everyone on the bus, answering all their footballing questions and drawing the ticket for the bus raffle. In fact just about the only thing he refused was a drink from the various carry-outs which were offered. When he was dropped off he left behind a bus-load of Danny Currie fans. Full back Bobby Duffy was signed by St Mirren from Vale Juniors in 1966 – 67 and played a number of games for the Saints until he moved to Stranraer in season 1969-70. He spent the rest of his senior playing career with Stranraer, finally calling time at the end of season 1975-76. It must have been a long haul down to the south-west port, but Bobby must have enjoyed it because he played over 220 games for the Galloway club. When he retired from playing senior football he came back to the Vale Juniors and had a spell as a popular trainer, coach and manager about 1976 – 78.. Having played much of his football in the extreme south-west of Scotland he moved in a diametrically opposite direction to take a player / managerial post at the north east club Brora Rangers who play in the Highland League, when he became Sheriff Clerk at Dornoch Sheriff Court. It wasn’t long before he had fashioned a successful Brora squad who won the Qualifying Cup for the first time in their history under Bobby’s management in 1979. The following year Brora had their highest ever finish in the Highland League when they were runners-up. Bobby Duffy moved back to the area to work in Dumbarton but has been retired for the past few years. Jim Eadie (Goalkeeper: Rangers, Dumbarton, Cardiff City, Chester (L), Bristol Rovers. Senior career 1965 – 77). Jim Eadie came from Levenvale and was born in Alexandria in February 1947. At 6ft 2 in he has the height for a modern goalkeeper and he was soon spotted and signed by Kirkintilloch Rob Roy. He wasn’t there long before being signed by Rangers in 1965-66. He was at Ibrox for only two seasons without making any first team appearances before being released in April 1967. Dumbarton signed him and he played a number of games for them in the single season 1967-68 he was at Boghead. At the end of that season Eadie returned to Rob Roy. However, this was only a temporary step down because in 1969 he signed for Cardiff City, then in Division 2 in England. He made his debut for Cardiff in March 1970 in a 2-0 win over Portsmouth and was Cardiff’s No1 goalkeeper the following season, 1970-71 as Cardiff just missed out on promotion to the First Division by 3 points. He was at Cardiff for another two seasons, although he spent part of 1972-73 on loan to Chester City. In 1973 he was transferred to Bristol City and there Eadie enjoyed the best spell of his professional career. In his first 5 games of the 1973-74 season he kept a clean sheet which earned him national media attention and was instrumental in Rovers being promoted to the Second Division with the lowest goals against of any club in the Third Division. In his 4 years at Bristol Rovers Jim made a total of 183 appearances for the club. He left Rovers in 1977 to join nearby Bath City, a non-league team, and did not play senior football again. Malcolm Finlayson, who is arguably the most successful post-war keeper never to have been capped, was born Alexandria 1930. He would have to be regarded as “one who got away” by the Vale Juniors because the junior team he played for as a teenager was Renfrew Juniors. Millwall signed him from Renfrew in season 1947-8, which might not have been the very best time to join them because they were relegated that season from the English Second Division into the Third Division South. And that is where they remained for the whole of Finlayson’s career with them, rarely flirting with promotion but usually stuck in middle-table anonymity. After his arrival as an 18 year old Finlayson didn’t have to wait long for his debut and by played in goal for Millwall 1948 – 1956, where he made over 250 appearances. In 1956 he was transferred to Wolverhampton Wanderers for the princely sum of £3,000. Wolves were at this time in their prime as England’s leading team under manager Stan Cullis, and Malcolm was signed initially as a replacement for their legendary goal keeper, Bert Williams. He soon established himself as the first choice keeper and played over 200 games for Wolves, behind a team that included the legendary Wolves and England captain Billy Wright. Malcolm won 2 First Division Champions medals (at that time the First Division was the top league in England) and also a cup-winners medal in 1960 when Wolves beat Blackburn Rovers to win the FA Cup. Wolves were pioneers in playing against European teams in friendly matches on a Wednesday night during the season. Malcolm played in many of these early games against the leading European clubs which were amongst the first games to be broadcast live by BBC TV and helped to stimulate the creation of the European Cup. He retired from the game in 1964, which was a good time to leave since Wolves’ were in decline by then from which they have never recovered to match the heady days of when Finlayson played for them. Malcolm Finlayson was one of the most successful post-war Anglos, and its a bit surprising looking back that he was never capped for Scotland. Perhaps it is not so surprising when you remember that for most of his playing days Scottish teams were picked by a group of SFA nonentities called the International Committee, most of whom like their modern-day counter-parts didn’t know the difference between a good player and a corner flag. Staying on in the Midlands after he had finished playing football, he became a very successful businessman with interests in steel stock-holding. He now lives in full retirement in Helensburgh, occasionally popping over the Black Hill to take in a game at Millburn. Renton-born Hughie is the brother of late boxing legend Skeets, and became something of a legend himself with his goal-scoring prowess for Dumbarton in the 1950’s. Hughie trod that well-worn Renton path of joining Duntocher Hibs and from the Hibs he signed for Arbroath in 1951. In the three seasons in which he was at Arbroath , 1951-52 until 1953-54, Hughie played 61 league games for them, scoring 26 goals. However by season 1954-55 he had fallen out of favour and incredible as it now seems, he was released by Arbroath on a free transfer. Just before season 1957-58 Hughie handed in a request for a transfer as he wanted to play in the top-flight A Division. To begin with he refused to play, but the directors eventually agreed that no reasonable offer for Hughie would be refused, and he resumed his normal position. It was at the time something of a mystery why none of the larger clubs came in for Hughie. Perhaps his build – he was 5’7” and less than 11 stones – had something to do with it. In any event he had to wait another 3 seasons before signing for Clyde. Clyde were an A Division club when Hughie signed for them in time for 1960-61 season but by then they had gone into a spell of yo-yoing between A and B divisions. He was of course joining another Renton man at Clyde that season, Danny Currie. The move did not work out. After playing 5 games and scoring 2 goals for Clyde, during the season Hughie was transferred to Queen of the South. That move did not work out either, although Hughie scored a couple of goals in the handful of games he played for the Dumfries team. After one season away Hughie was back at Boghead for a final season in 1961-62. He only played a few games and the following season he headed south to play non-league football for a time before going back to where he set out on his football career – Duntocher Hibs. In his Dumbarton career Hughie played 220 games for the Sons and netted 205 goals in all competitions. They’ve not seen his like since and no wonder older football supporters in the area still speak of him with awe. Alex Grace was born in the Vale in March 1974 and went straight to West Bromwich Albion as a youth player. He returned to Scottish football in season 1993-94 to Greenock Morton for whom he played a couple of games that season. The next 3 seasons 1994–95 until 1997-98 he spent playing for Vale Juniors before signing for Dumbarton in 1997. Alex played for the Sons for 3 1/2 seasons, 1997-98 until January 2001 when he signed for Stranraer. He then played for Stranraer until season 2002-03 after which when he returned to play for the Vale for 3-4 years. In his senior career Alex Grace played about 150 games in all competitions. Since March 1999 Hugh Hamill has been the manager of Vale Juniors, for whom he also played after a senior football career. That began in 1978 – 79 when he signed for Dumbarton from Dumbarton United. He was only there for a season or so before returning to juvenile football with Balloch Juveniles in 1979. The following season, 1980-81 he stepped up to the seniors again, this time as an inside forward with Hibernian and played a number of games for them as they won promotion to the Premier League. Late in the season he moved to Dunfermline Athletic. For the next two years, 1981-83 Hugh was a regular first team player at Dunfermline, but left to join Queen of the South for one season, 1983-84, where he also played regularly. In 1984 -85 he moved to his last senior Club, Partick Thistle for whom he played before calling it a day on his senior career and joining Vale Juniors during season 1985-6. In total Hugh played over 100 senior games and is now one of the longest-serving Vale managers. Harkins, Jim (Goalkeeper: Celtic and Dumbarton 1967-69). Jim Harkins came from Renton and was signed as a teenager from Renfrew Juniors by Celtic, then managed by Jock Stein, in season 1967-8. The following season, 1968-9, he joined Dumbarton then in Scotland’s B Division and played a number of league games for the Sons. However, he left at the end of that season and returned to Junior football with a succession of Clubs. These included Shettleston, then Benburb, Vale of Leven 1973 – 5, Glasgow Perthshire before finishing up with St Rochs in season 1979-80. Donald Hunter signed for Rangers in 1972 from the Vale Juniors. He was at Rangers for four seasons and made a handful of appearances for the first team in those years. In 1976 he signed for St Mirren who were then in Division 1 and as their ever-present goal-keeper he helped the Saints get promoted into the Premier League at the end of season 1976-77. He kept goal regularly for the Saints in their first season in the Premier League, but at the end of that season he left the Paisley Club to join Dumbarton, then in Division 1. Arriving at Boghead at the beginning of season 1978-9 he was in competition for the goal-keeping slot with Lawrie Williams a Dumbarton hero, who was coming to the end of his ten years with the Sons. Hunter stayed at Dumbarton for four seasons, but after the first one, he was not the regular first choice keeper. In 1981 Hunter left Dumbarton to join Alloa Athletic, then in Division 2, for the start of season 1981-82. For the next 3 seasons Hunter was an ever-present for Alloa in the League, clocking up 117 League games for them in 3 seasons. He did not make so many appearances in his last season at Alloa and at the end of season 1984-85 he called time on his senior football career. George Kerr was an Alexandria lad, born in January 1943 who was brought up in Levenvale. His younger brother was Bobby Kerr, who as captain of Sunderland lifted the FA Cup in 1973. To his contemporaries George was perhaps the outstanding prospect of his generation in the area when he was playing for Vale of Leven Academy. These contemporaries and friends included the likes of Alan Black and Willie McCulloch from Dumbarton who were very impressive prospects themselves. Also, he is one of the few Vale players who went on to a career as a club manager after his footballing days were over. George was signed up by Barnsley when he was still playing school football and in 1961 he made his first appearance for them, playing in the midfield. In 4 seasons at Barnsley between 1961 and 1965 he made 166 first team appearances in all competitions, scoring 40 goals. However, in 1965 he made the first of 3 moves in England and joined Bury where he played for only one season. The next season, 1966-67 saw Kerr at Oxford United where he was a regular first team player and scored 5 goals. But at the end of the season he was on the move again. At the beginning of season 1967-68 he joined Scunthorpe United who were then in the Third and Fourth Divisions in the next 6 seasons that he played for them i.e. until 1972-73,. In all George played 157 games for Scunthorpe and that was where he finished his football-playing career in 1973. In the course of that career George Kerr played 379 games for 4 clubs in the Football League and scored 79 goals. When he finished playing, George moved into the most extensive managerial career of any post-war Vale footballer. His first role was as a coach at Lincoln City and by 1977 he was appointed manager of Lincoln for the first time, albeit briefly. In 1979 he became manager of Grimsby Town and took them to the Third Division championship in 1979-80. He almost repeated the trick the following season in Division 2 when they were in contention for promotion for most of the season, but missed out. As is the way of football none of this counted and George was sacked early in 1982. Rotherham was the next club he managed 1983-85 and then in June 1985 he returned to where he had started his managerial career 7 years before – Lincoln City. Lincoln were well into their decline which saw them relegated into the Fourth Division and then become the first club to be automatically relegated out of the Fourth Division at the end of season 1986-7. George wasn’t there to see that happen as he had parted company with the club some months before. He then managed non-League Boston United from 1987 – 1990 before opting for a job in the media as an expert summariser with BBC Radio Humberside. Rentonian Toby King was a midfielder who had a long senior career with 6 different Scottish clubs before finishing his playing days with a number of years of valuable service to the Vale Juniors, as his father had before him. In 1991 Toby signed for Clydebank, then in Division 1, from Kilpatrick Juveniles and in his two seasons there played 16 league games. He had one season 1993-94 as a regular at Arbroath before returning nearer home for a first spell with Dumbarton, 1994-97. A season at Clyde, 1997-98, was followed by a return to Dumbarton for another 2 ½ seasons before moving to Cowdenbeath for a season and a half 2000 – 2001 and 2001 – 02. Toby finished his senior career at Cowdenbeath in 2002 having played about 275 league games for his 5 different clubs. From 2002-03 he turned out for the Vale, often as captain, for about 4 seasons. Liddell, Jim (Goalkeeper: Hong Kong, Morton senior career in Scotland 1976 – 1979). Jim was a Tullichewan boy, born in 1953, who attended Levenvale and then Vale of Leven Academy. By Vale standards of the day he had a fairly exotic career, but it probably didn’t seem that way as he learned his goalkeeping trade in the Junior ranks. Jimmy Scott writes that “Jim played for the Vale Juniors as a 15 year old c 1968 and played a few games for Dumbarton in the old Scottish FA combined Reserve League”. He also played for with Yoker Athletic (1971-2) and then with the Vale Juniors for a season or so. At some stage he went to South Africa to play but the next hard facts begin in 1973 when Jim went out to play in Hong Kong. At that time Hong Kong was still very much a British colony with a prosperous football league whose clubs included a sprinkling of former senior British players, particularly ex-Scottish League players. During his first spell in Hong Kong (1973-76) Jim played for Bulova Rangers in a team which included ex Rangers players Willie Henderson and Alex Willoughby. During this spell Bulova won the Viceroy and Senior Shield, while Jim personally won the Goalkeeper of the Year and MVP Trophy in season 1974-75. Jim then returned to Scotland to keep goal for Morton from 1976 until 1979. For the first couple of seasons that Jim was at Cappielow, Morton were in the Scottish First Division, but in season 1977-78 he was the keeper in the team which won promotion to the Premier League. He doesn’t seem to have played many games for Morton in the Premier league and about 1979 he headed back to Hong Kong, having played about 50 games for Morton. Going back east, he played he played for a number of seasons with Blake Gardens and Eastern before hanging up his boots. Jim Lived in Carlisle for a while but he has now settled back in the Vale where he is a member of the Vale of Leven Bowling Club. Bob McDermid was born in Alexandria in 1895, the son of William and Janet McDermid. He had two brothers and a sister; all of the brothers played amateur football, but only Bob took it up professionally. When he left school Bob trained as an engineer and at the weekend he played for Vale Glen Oak. He was spotted by Rangers and was signed by the Glasgow club in 1917, when he was 22. It wasn’t unusual in those days for a player not to turn professional until he was into his 20’s. He wasn’t at Rangers for long and in 1918 he was transferred to Dumbarton where he played for 3 seasons. In 95 league games he scored 28 goals. In the first full season after the war, 1919-20, he scored 17 goals for the Sons helping them to a mid table position. Jim McAlister and Arthur Jones in their book “Sons of the Rock” say “The introduction of McDiarmid (sic) along with Duncan and Martin appeased the fans who had long complained of a lack of talent in the side”. All four of these players (3 of them were at Aberdeen together in the 1930’s in various capacities) did very well for Aberdeen and all 4 are classed as “Aberdeen Legends”. McDermid was 30 when he signed for Aberdeen and was perhaps regarded by some as being in the twilight of his career. But then again Donald Colman was 29 when the Dons signed him as a player, so they made something of a habit of signing older Valemen and it certainly paid off with both Colman and McDermid. McDermid went on to play 243 games for the Dons, scoring 44 league goals for them, and captaining the side for a number of years. He didn’t hang up his boots until 1933 when he was 33. On his retirement from playing he stayed on at Aberdeen as assistant to the trainer, Donald Colman, and undertook coaching duties. Eventually he took over as team trainer when Colman called it a day. McDermid held that post for many years, but by March 1952, still only 56, he was so dogged by ill-health that he had to take early retirement from his job as trainer. Unfortunately Bob didn’t have long to enjoy his retirement. His wife and he were on holiday in Largs and they took an evening cruise from Largs Pier on the paddle steamer the Jeannie Deans on 19th August 1952. While on the steamer Bob McDermid dropped dead of a heart attack. Although he and his wife were residents of Aberdeen at the time and had lived there for more than 25 years, Bob is buried in Vale of Leven Cemetery. Jackie McMillan was born in Renton in 1937 and his route to senior football was not the usual one at that time, via the juniors, but rather via Vale of Leven Academy FP’s. He was one of two players (centre half George Crawford was the other) of the Vale FP team which was beaten in the 1956 Scottish Amateur Cup final to turn professional. He joined Dumbarton in 1956, signing not as a professional, but as an amateur. Jacky continued an engineering apprenticeship at the Torpedo Factory, and his amateur status gave him more flexibility in his football career. In a couple of seasons at Dumbarton he did enough to impress the fans and it’s fair to say that many were quietly confident that a very good career lay ahead for McMillan. It was no surprise when Cardiff City signed him in 1959. What was a surprise was that he didn’t make a greater impression there than he did. Although he played a couple of games for Cardiff in 1960-61, by 1961-2 he was playing the first of two seasons for Exeter City for whom he played about 20 games, scoring 1 goal. He then seems to have dropped out of senior football at the end of season 1962-63. George Masse was another Vale man who started his football career with Duntocher Hibs. In season 1959-60 he signed for Hamilton Academicals, then in Division 2. From 1960-61 until 1962-63 he played regularly for the Accies notching up about 70 games for them. In 1963-64 he signed for Dumbarton and played a few games for them that season. 1964-65 found George at the Vale Juniors, playing alongside the likes of Neil McCallion and John Dolan in the old Central League A Division. He was there for 5/6 seasons and knocked in the goals quite regularly. Dumbarton signed John McGhee and Alan Watson from the Vale Juniors in season1966-67. McGhee established himself as centre-half in the improving Sons teams of the late 1960’s, in just over 3 seasons playing about 60 games for Dumbarton. In 1969-70 he moved to Stenhousemuir and then on to Stirling Albion in season 1970-71 for whom he played about 30 games. Having played about 110 games in all competitions in Scotland he decided to emigrate to Australia when he finished the season at Stirling. About 1975 he was killed in a car crash in Melbourne. Kenny McInnes was born in Balloch and attended the Vale Academy as a boy. He was a tall strong centre half who played in the very good Vale Juniors teams in the early 1970s. He attracted the attention of senior clubs and signed for St Mirren in 1972-73, playing regularly for them for most of that season. In 1973 he joined the police and, while he gave up senior football, he continued to play for the Scottish Police, being capped twice against England. His career brought him back to Dumbarton as Police Divisional Commander between 1992 and 1997, before becoming a chief officer in both Lothian and Borders and Fife Constabularies and finally retiring as Assistant Inspector of Constabulary for Scotland in 2006. He still lives in the Vale. Goalkeeper Roddy McKenzie is not even a Scotsman, never mind a Vale-born man, but he lived and worked in the Vale for most of his Scottish football career and is regarded by Vale folk as a Valeman. Roddy was born in Kilkeen, County Down which made him a Northern Irishman and indeed he won a solitary cap for Northern Ireland in 1969, as well as 3 Under-23 Caps between 1967 – 69. For the whole of his career the great Pat Jennings stood between him and further caps, and he had to settle for being an international squad member as understudy to Jennings. Such are the drawbacks of being a goal-keeper – only one of you can be selected. His long career in Scottish football certainly suggests that but for Jennings he would have won many more caps. He came from that great source of Scottish football talent, Drumchapel Amateurs and joined Airdrie in 1963 for whom he played until the summer of 1973. Roddy McKenzie was in the team which got Airdrie promoted to A Division in 1965-66, and Airdrie stayed in the top flight until the season of McKenzie’s departure for Hibs. In 1969 he was joined at Airdrie by fellow Valeman Columb McKinley and a year later, 1970, by Drew Busby. For 3 seasons 1970-71 till 1972-73 these three were regulars in the Airdrie team, with McKenzie very much the first-choice keeper. They appear together in the Airdrie squad photo which is referenced in the entry for Drew Busby. In his time at Airdrie Roddy made 256 League appearances and 76 League and Scottish cup appearances as well as his international honours. At the beginning of season 1973-74 he moved to Hibs where he played a few games that season and next before moving in the next season to Clydebank, where he played in seasons 1975-76 and 1976-77. At the end of that second season in the summers of 1977 he decided to go to play in Australia and signed for Brisbane Lions. In a career in Scotland spanning the years 1963 – 77, Roddy McKenzie played about 400 competitive games in the League, Cups and for his country. Columb McKinley started out with the Vale Juniors and was signed by Airdrie as a right half from the Vale in season 1969-70 when Airdrie were in Division A. He made his first team debut for Airdrie the following season in 1970-71 when he played about 20 games in all competitions as Airdrie reached the semi-final of the Scottish Cup. For the next 4 seasons 1971-75 he was a regular in the first team squad alongside other Vale men, Drew Busby and Roddy McKenzie, through seasons of relegation and promotion back to A Division. In season 1975 – 76, the first season of the new League set up which established the Premier League, he moved nearer home to Dumbarton who were in the new Division 1 – as indeed were Airdrie who missed the cut for the Premier League and finished below Dumbarton in Division 1 that season. By now McKinley was playing as a central defender and in the three seasons he played at Dumbarton 1975 – 78 he was regular first team squad member. At the end of season 1977-78 he left Dumbarton and in the following season he once again played for Vale Juniors. In 1981 he went to play for a time in Hong Kong. 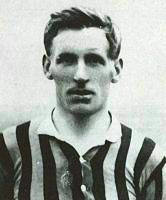 In his senior career Columb McKinley played in about 160 matches in all competitions. Bob McNichol, left back for the Vale Juniors team which won the Scottish Junior Cup in 1953 was the only one of the team to have an extensive senior footballing career. It started at Stirling Albion in 1953-4, where he played 56 first team games in 3 seasons. In 1956-57 he was transferred to Accrington Stanley managed by Scotsman Walter Galbraith who had a penchant for signing Scottish players. Arriving in the summer of 1956 he missed Rentonian John Ryden by just six months or so since he had been transferred to Tottenham Hotspur in November 1955. Bob played at Accrington for 3 seasons before moving to Brighton in 1959 where he also stayed for 3 seasons. Leaving Brighton at the start of season 1962-63 for non-League Gravesend and Northfleet, Bob began a series of single seasons at a club. The following season he returned to League football when he travelled the length of England to sign for Carlisle United for season 1963-64. And helped them get promoted out of Division 4 that season. His next and final season in football, 1964-65, found him playing for another non-League team, Stalybridge Celtic from the eastern edges of the Manchester / Oldham conurbation. Bob had married and settled down in that area and the family had business interests there. Fifteen years later he made his final appearance in the newspaper headlines for the most tragic of reasons. He and his family were killed in an air-crash while approaching to land at Los Rodeos airport on Tenerife in April 1980. Willie Mills was born in Alexandria in January 1915. He came from a footballing family – his father had played for the Vale and two of his brothers, Hugh and George, signed for West Ham in May 1932 around the time that Willie was signing for Aberdeen. However, they never quite hit the heights which Willie did as an inside left for Aberdeen, Huddersfield and Scotland. Incidentally Hugh and George both won the Powderhall Sprint as professional athletes, so a good turn of speed was also in the Mills genes. His prodigious talent was recognised early and although he started his junior career at Bridgeton Waverley, he wasn’t there long before being signed by Aberdeen in the summer of 1932, aged just seventeen. After a single game in the reserves he was pitched into the first team at the beginning of season 1932 – 33, still only 17 years old, and made the position his own for 6 years before being transferred to Huddersfield then a top-flight English team who had also signed fellow Valeman Alex Jackson a decade or so earlier. Having made his debut for the Dons in August 1932 in a 1-1 draw with Motherwell, he became first choice inside left for them and no wonder. In his second season there, 1933-34 and still only 18 / 19, he scored 28 League and Cup goals. The following season, 1934-35 he was joined in the attack by Matt Armstrong, and the two soon formed a much-feared scoring partnership, which was the best that Dons were to see until the arrival of the Ferguson era 50 years later. In all, Mills went on to make 183 League appearances for Aberdeen in his 6 seasons at Pittodrie, scoring 102 League goals. To that can be added another 28 Scottish Cup games in which he scored 12 goals. Needless to say Willie is still remembered with great affection and respect by the Dons supporters who speak of him as being Aberdeen’s first “complete footballer”. His route into the Scottish team was blocked by Bob McPhail of Rangers and his international record is sparser than his play deserved. Although he toured North America in the summer of 1935 with a Scottish XI and played and scored in many of these games, no caps were awarded for that tour. 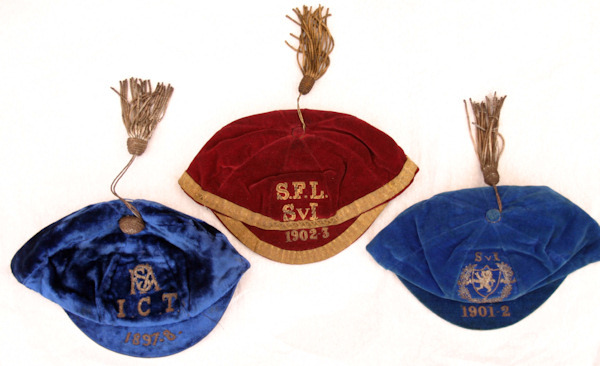 Nor were caps awarded for the International match in which he played against England which celebrated King George V’s Jubilee in 1935. However, Willie earned his first cap against Wales in October 1935 when he was still only 20 and earned another cap that year and in 1936. In 1938 Mills was transferred south to play for Huddersfield Town for £6,500. Just over a year later WW2 broke out and top class football was suspended for the duration. So, he played little over a season at Huddersfield making 27 appearances and scoring 7 goals. However, WW2 signalled for Willie Mills, as for many others in his age group, the end of a top class football career, although he was aged only 24 in 1939 and should have had his best years yet to come in both club and international football. War-time football was a cobbled-together affair with players playing for the nearest team to whichever locality war service took them. Ironically, Willie ended up playing seven games for Dumbarton before he fell out with the Dumbarton management when he was dropped for a game against Celtic. The rights and wrongs of that decision are long lost in the mist of time, but Willie had a good conceit of his own abilities, and this for him was an unacceptable insult. He immediately left Dumbarton, refusing to play for them again. When football resumed in 1946 he was 31 – young only by the exceptional standards of another Valeman who became an Aberdeen legend - Donald Colman – and he never played for a top-flight team again. Instead he turned out in the Highland League for both Lossiemouth and Huntly. He did not come back to live in the Vale, and died in Aberdeen a number of years ago. However, brothers and sisters continued to live in Balloch and Alexandria and at least one nephew still lives in Alexandria. Reed, Ernie (Inside Forward, Centre Forward; senior career 1969 – 71, Arbroath, St Mirren). Local man Ernie Reed who still lives in the Vale started his Junior career with Yoker Athletic and went from them to Arbroath where he played in season 1969-70. The following season he moved to St Mirren then in the “A” Division and played a few league and cup games for the Saints in season 1970-71. Ernie is the older brother of Hugh Reid (spelt Reed by some web-sites, see below). Reed, Hugh (Winger, senior career 1968 – 77; West Bromwich Albion, Plymouth Argyle, Brentford (on loan), Crewe Alexandra, Hartlepool United). Hugh Reed was the younger brother of Ernie Reed, having been born in 1950. Like a number of other boys from West Dunbartonshire around that time, Hugh went straight from school (St Patrick’s High School) to West Bromwich Albion, for whom he signed as a Senior professional in 1968. He played at WBA for 3 seasons, during which time Albion were in England’s top flight, making 8 appearances in the first team and scoring 2 goals for them. In 1971 he moved to Plymouth Argyle and promptly scored on his debut for them. Although on Argyle’s books from 1971-74, he spent part of season 1973-74 on loan at Brentford. Altogether Hughie, as he is remembered at Argyle, played 56 games for Plymouth scoring 11 goals. Crewe Alexandra were his next club, from 1974-76, and in the 2 seasons he spent there in his 47 appearances he scored 9 times. His final senior club was Hartlepool United in season 1976-77 where in his 6 games he scored 1 goal. After Hartlepool, Hugh played non-League football in England. In all he played 121 first class games in England scoring 23 goals. Hughie died in 1992 aged only 42. George Ryden is a younger brother of John Ryden. Like his elder brother he was born in Renton, and also like him attended St Martin’s and St Patrick’s High School. Also like John he started on his football career at Duntocher Hibs, where he played as an inside forward. In season 1959 / 60 he was signed from Duntocher by Dundee managed at that time by Bob Shankly, brother of Liverpool’s Bill. Shankly was in the process of putting together Dundee’s greatest ever team which included Scotland stars such as Gordon Smith, Alex Hamilton, Ian Ure and Alan Gilzean. That team went on to win the Scottish First Division Championship in 1961-62 and followed that up by getting to the semi-final of the European Cup the following season, 1962-63, only to lose out in the semi to the eventual winners, AC Milan. For the next couple of seasons his main role was as a substitute and he only started about 20 games for Dundee before leaving to join St Johnstone in April 1960. He played centre-half at St Johnstone for 3 seasons, again mainly as a pool player. In April 1969 Ryden left St Johnstone to play one season, 1969-70, with Stirling Albion who were in the Second Division at the time and after that retired from the senior game. The youngest of the three of the Ryden brothers from Renton who played senior football, Hugh was born in 1943. Unlike his 2 older brothers John and George, he did not play junior football for Duntocher Hibs, but instead signed for Yoker Athletic. It was from them that Leeds United signed Hugh, an inside forward, in 1960 and so he did not play for any Senior Scottish club before heading south. As it turned out, his 13 years as a professional footballer were all spent with English clubs and he never returned to Scotland to play or live. When Hugh Ryden joined Leeds United in 1960, Leeds had just been relegated to Division 2 and Don Revie was still playing centre forward for the Club. In March 1961 Revie became manager and started the long haul to turn things round. In his first full season as manager the club was in deep financial trouble and only avoided relegation on the last day of the season. There was an outstanding squad of youngsters at Leeds and the Youth Team of 1961-62 in which Ryden played included such future stars of the great Leeds teams of the 1960’s and 70’s as Billy Bremner, Paul Reaney, Terry Cooper and Norman Hunter. Revie had hard choices to make to survive and he brought in a number of seasoned campaigners and moved most of that Youth squad out, although he obviously kept the very best. So in season 1962-63 Hugh found himself at Bristol Rovers having left Leeds United without ever having made a first team appearance for them, but having been part of the senior as well as the youth squad. The rest of his career was to be spent with 4 different clubs in the lower Divisions of the English League, in some cases for a single season. The first of the single-season clubs was Bristol Rovers who had just dropped into Division 3 when Hugh arrived, but their decline was continuing. He played a few games there in 1962-63 and scored a few goals before moving on to Stockport County for his first spell there in 1963-64. In spite of being almost ever-present that season, he then moved along the A56 in those days to Chester where he stayed from 1964 until 1968. He is still fondly remembered at a revived Chester and in June 2010 an autographed photograph of the forward line in which he played sold for an astonishing £1,050 at a fund-raising function for the new club. Mind you it was some forward line deserving its title as the “Famous Five”: in season 1964-65 every player in it scored at least 20 goals and in total the five of them scored 138 goals in a club total of 141 in all competitions. They scored 119 goals in 46 League matches in Division 4 which gave them by far the best “average goals scored per game” in England. They still came nowhere near promotion because their defence was every bit as profligate as their forward line was prolific, conceding 81 goals. Still, for neutrals it must have been some fun watching them - for fans it was a tear your hair out season, but now through the roseate tint of time, very fondly remembered. In all Hugh played 141 games at Chester, scoring 44 goals. In season 1967-68 he moved onto Halifax Town for a couple of seasons before returning to one of his previous clubs, Stockport County, in season 1969-70. Hugh played another 123 games for Stockport before bringing his career in top flight football to an end with them in season 1972-73. In all he played 365 games for his various English League clubs, scoring 78 goals. John Ryden (Wing-half, centre-half; Alloa Athletic, Accrington Stanley, Tottenham Hotspur, Watford, and then non-league. Senior career 1950 – 1961). John Ryden was born in Renton in February 1931 and went to school at St Martin’s in Renton and then St Patrick’s High School before taking that well worn Rentonian path to playing Junior for Duntocher Hibs as a wing half. He was soon spotted by senior clubs and in May 1950 he signed for Alloa Athletic who had just finished the season at the bottom of the old B Division so were badly in need of new talent. It’s fair to say that they found it in John Ryden. He went on to make over 100 appearances in the 3 seasons or so he spent at Alloa, scoring 7 goals, while Alloa stabilised themselves in mid-table during his time with them. In February 1954 (this was long before transfer windows and was obviously in the middle of season 1953-54) Accrington Stanley signed Ryden for £1,000. Accrington were one of the oldest clubs in England and used to play the Vale in money-spinning friendlies in the 1870’s and 1880’s. However by the 1950’s they had fallen on hard times and were languishing in the old English Third Division North. In fact in the season before Ryden joined them they had finished bottom of that league making them the joint worst club in the English League. (Until season 1959-60, although there were 4 Divisions in the English League only Divisions 1 and 2 ran on a national basis. Division 3 was divided into a North and South Division with only 1 club from each of these Leagues being promoted to the Second Division each year. Having only 1 promotion slot to aim for was a very considerable challenge for every club in these Leagues). The appointment of Glaswegian Walter Galbraith as player-manager at the start of season 1953-54 was to change things for the better for Accrington. Galbraith was a no-nonsense defender, still only 35 when he joined them, with all of the characteristics of the Scottish manager in England. He started by adding Scottish players to give the team a bit of strength – Stanley regularly played with 9 Scotsmen and 2 Englishmen and both of them were goal-scoring forwards. He even once put out a full team of Scotsmen. One of his first signings in his first season and only season as player-manager was John Ryden who joined in February 1954. That first season Accrington hauled themselves up to the nearly-respectable position of 15th. At the end of the season Galbraith felt confident enough in his new signings to stop playing and he took up the role of full-time manager. His confidence was not misplaced because for the rest of his time at Accrington they were either 2nd or 3rd in the League and became famous as the nearly men of English football. Galbraith fell out with the Board in 1958 over cut backs in the players’ budget and resigned. Within 4 years Accrington were bust and out of the English League. None of this affected Ryden, of course, because even by 1958 he was long gone. His performances at Accrington made him a favourite with the fans and in his time at Accrington he was an ever-present. He was also one of their best players and helped Accrington to 2nd in the League, just missing out on promotion by 4 points. Word had got around about Ryden and the following season 1955-56 hadn’t even reached its half-way point when in November 1955 he was signed by Tottenham Hotspur. The transfer fee was £10,000 which was regarded as a lot of money for a defender in those days, and was of course very welcome for Accrington. Jimmy Anderson was the manager who signed Ryden for Tottenham and although Spurs had been League Champions in 1950-51 and were second the following season, by the time Ryden joined they had been mid-table for a couple of years. That is where they stayed in the part of the 1955-56 season which remained after his signing. However, things looked up in the next couple of seasons with a finish of 2nd in 1956-57 then 3rd in 1957-58. An additional bonus for John Ryden that season was that he was made Club Captain for the season. October 1958 saw a change of managers at Tottenham. Jimmy Anderson, who had signed Ryden, was replaced by former Spurs player Bill Nicholson. Nicholson went on to legendary status at Spurs, creating the 1960-61 double-winning team (the first team to win the League and Cup double in England). He started on a high note with a game which is still regarded as one of the all-time greatest by Spurs fans – a 10-4 win over Everton at White Hart Lane. Included in that team were such outstanding talents as Medwin, Harmer, Bobby Smith, and at right-half alongside Ryden at centre-half, the great Danny Blanchflower. The icing on the cake for Ryden in that game was that he scored the 10th and last goal. Inevitably there were changes on the park as Nicholson built a new team. In came players like John White and it was another Scotsman, Dave MacKay who replaced John Ryden as captain after he was signed from Hearts in May 1959. Ryden was at Tottenham for another 2 seasons, but playing fewer games. In all he played 68 games for Spurs and scored 2 goals. In June 1961 he moved to Watford, then in the 3rd Division, for whom he played 24 games. Non-League clubs followed: Romford, Tunbridge Wells Rangers and Bexley United for whom he was player-manager. It was at Bexley in 1965 that he retired from an active part in football. John Ryden was recently listed in the top 12 Scots to have played for Spurs amongst the likes of Bill Brown, Dave MacKay, John White, Alan Gilzean and Steve Archibald. That’s some company to be keeping. Almost 2 years ago in January 2009 the web-site got an email from Brisbane, Australia asking us to confirm some stories that the correspondent’s father and grandfather had told him. They were natives of Bonhill who had emigrated to Australia 1959. His grandfather’s name was Angus Robertson Urquhart and he was married to Isabella Nellie McCaskill, perhaps the largest family group in Bonhill at that time. One of the stories which he asked to be confirmed was that his grandfather had been a well known footballer with Dumbarton who had scored 41 goals in 44 games before having to retire from the game after breaking his leg. This was news to us but we went away to find out and sure enough it was quite true. His email even managed to answer the mystery of what had happened to Angus Urquhart. In his very first season playing for Dumbarton 1927-28 Angus Urquhart scored 35 goals in 36 games. This included 5 goals in a 6-2 win and the total was at that time a club record for a season. What makes it even more impressive is that in one and a half of these 36 games he had to play in goal for the Sons when the keeper was injured. In practice his scoring rate was 35 goals in 34 and a half games. Only 8 games into season 1928-29 Angus broke a leg. In those 8 games he had resumed his scoring run, netting 6 times. Allan Watson was only 17 years old when he signed from the Vale Juniors for Dumbarton in February 1967. He immediately made the outside berth his own for the rest of season 1966-67 as he scored 7 goals in 7 games. In the next 4 seasons Watson was a Sons regular, making over 130 appearances for them all competitions and scoring over 33 goals. At the end of 1970-71 he left Dumbarton and seems to have dropped out of football, although he would still only have been about 21 years old. We don't know too much about Jack Watson but he is the only player featured here so far to have played in Ireland before the separation. If anyone can fill in the gaps please get in touch. The information we do have was sent to us by Colin Hopkins, Secretary of Lisburn Distillery FC. It is part of a feature that appears on Lisburn Distillery's match day programme for Saturday 31 August 2013. Johnny Watson joined Distillery FC in Ireland in January 1919, which was before separation. He was an inside-forward, but he also played at half-back and centre-half during his Distillery career. He made his Distillery debut on 13th January 1919 in a City Cup match against Belfast United when Distillery won 8-1. Johnny made 13 competitive appearances that season (1918/19) and scored 2 goals. Those goals were both in the same match against Belfast United in the Gold Cup on 8th March 1919. The highlight of the season was the team winning the County Antrim Shield, beating Belfast Celtic 1-0 in a replay (after a 0-0 draw) on 19th March 1919, and Johnny played a major part in this victory. At the end of the season he also played in a couple of friendlies: --- Shelbourne 1 Distillery 1 in Dublin on 17th May 1919 and on 10th May 1919 he played for the Cross-Channel XI against an Irish League XI at Grosvenor Park. The game was a benefit game in aid of the Benevolent Fund of the Irish Players Union and ended in a 1-1 draw with Johnny Watson scoring the Cross-Channel goal. In the 1919/20 season he made 36 competitive appearances and scored 9 goals, with most of them coming in the last two months. It was another trophy-winning season in which Watson was outstanding. Distillery won the County Antrim Shield again, beating Belfast Celtic 2-0 in the replayed Final at Solitude on 3rd March 1920, after a scoreless draw in the first game. Johnny scored two goals in the Belfast Charities Cup Semi-final against Linfield, however the team lost in the Final on 1st May 1920 to Belfast Celtic 3-0. A fortnight later they took on Glentoran in the Gold Cup Final on 15th May 1920 at Windsor Park and won 3-1 with Watson getting one of the goals. Johnny also scored a goal in a 2-1 friendly defeat by Scottish side Hamilton Academicals on 10th April 1920. On 17th July 1920 an article on Johnny Watson appeared in the local sports newspaper ‘Ireland’s Saturday Night’, which mentioned that he had previously played for Chelsea and Glasgow Celtic. (Note that I have not been able to verify this). In the 1920/21 season another trophy was won and Johnny made 33 competitive appearances and scored 3 goals, which came in three separate matches against Cliftonville. Distillery contested the County Antrim Shield Final once more, this time against Glentoran. It went to the fourth match after three epic drawn games, but Glentoran won 1-0 at Windsor Park on 13th April 1921. Revenge came quickly though as both teams contested the Belfast Charities Cup Final at Solitude on 7th May 1921 and this time Distillery won 2-0. Earlier in the season, Johnny also scored a goal in a 6-3 friendly victory over Ballyclare on 11th September 1920. Johnny Watson left Distillery at the end of the season --- destination unknown. He thus ended his 3-season Distillery career with a total of 82 appearances and 14 goals. Johnny collected 4 winners medals: --- CAS (1918/19), CAS (1919/20), Gold Cup (1919/20) and BCC (1920/21). As well as 2 runners-up medals: --- BCC (1919/20) and CAS (1920/21). Wilkinson, Billy (Either Full back position, although usually Left Back: senior career 1967-8 until 1977-8; Dumbarton, Alloa Athletic). Billy Wilkinson was a Renton boy and attended St Martin’s and then St Patrick’s High School in Dumbarton. He played first for the Glasgow junior club St Anthony’s and was signed from them by Dumbarton in season 1967-68. For most of the 6 seasons that Billy played at Boghead, Jackie Stewart was the manager and these are remembered by the Sons support as probably the best years of the post war era with runs in the cup, a memorable League Cup semi-final with the great Celtic team which included many Lisbon Lions, and of course promotion back into the 1st Division as 2nd Division champions for season 1971-72. By that time Billy had established himself as a first choice left back in the team that won the Championship and he held that position in the following two seasons in the 1st Division. Dumbarton were unlucky to be victims of the reorganisation which established the Scottish Premier League with fewer clubs than the old 1st Division, since they finished above the traditional 2 relegation positions but were still consigned to the new First Division. Economies were made, and Billy departed Boghead for Alloa Athletic. In his time at Dumbarton he played about 120 first team games in League and Cup competitions for the Sons. At Alloa, Billy played even more games – approximately 150 in all competitions in the 4 seasons from 1974-5 until 1977-78. He also scored all 6 of his goals in senior football while at Alloa. When he finished playing for Alloa Billy emigrated to Australia, where he continued to play. He now lives in Brisbane. Joshua “Joe” Wilkinson (Goalkeeper: Renton, Dumbarton. Senior career: 1921-22). Joe Wilkinson is someone whose story has disappeared from Vale’s memory, and yet like that of John Thomson of Celtic it is the story of a goalkeeper who died of injuries sustained during a football match. Joe joined Dumbarton from Renton as a 24-year old keeper before the start of season 1921-22 and became first choice keeper from the season’s start. Dumbarton were then still in Division 1 and on Saturday 12th November 1921 met Rangers at Ibrox. During the game he was bundled with the ball into the net for a goal to Rangers and the suspicion is that that was when he was injured. After the game he felt unwell and was taken home but had to be rushed to the Western Infirmary during the Saturday evening. He had ruptured a bowel during the game, probably when the goal was scored, but it was impossible to say for certain. What was certain was that it happened during the game. In spite of an emergency operation on the Sunday he died on the Monday, probably of peritonitis caused by the rupture. It would be nice to think that Joe’s death brought about a change in the rules about charging the goal-keeper, but that was most definitely not the case. It was almost another 50 years before the rules on tackling the keeper were changed, and by that time Joe’s death had been long forgotten by the football powers-that-be. Evan Williams is a born (1943) and bred Son of the Rock who started playing football for St Patrick’s Primary and High Schools in Dumbarton. However, through marriage and family, many years of residence, not only playing for but also managing Vale Juniors and of course owning the Eagle Inn in Bonhill Evan is very much an adopted Valeman. Evan’s first step up the football ladder was playing for the Vale Juniors, but he soon moved on to East Fife in 1963-64, who were in Division B. He played a few games for them that season before being signed by Third Lanark in A Division at the start of the following season, 1964-5. By the time of Evans’ arrival at Cathkin, Thirds were well in the grip of chairman Hiddleston and his cronies who were to cause the downfall of Thirds amidst business malpractices and corruption. He saw at least one aspect of the many malpractices which were to be listed in a later Board of Trade Report – he recalls being paid his £8 wages after games played at Cathkin in 2/6 pieces; 32 silver coins in all to carry away after a game. It had, of course, come directly from the gate money without ever seeing a bank account and most of Third Lanark’s business was done in the “black economy”. It couldn’t last, and it didn’t; Third Lanark went out of business in April 1967 and never played another game of football as that company or club. By then Evan was long gone. After playing more than 50 games for Third Lanark between 1964 and 1966 he was transferred to Wolverhampton Wanderers at the end of 1965-66. Evan and Drew Busby thus just missed playing in the same team (Drew arrived at Thirds in time for season 1966-67) and Evan missed the final Thirds debacle by about 9 months. When he signed for Wolves they were mid-Division 2, but won promotion to Division 1 the following year. Although he played in a number of big games in England he was still the squad keeper rather than first choice at Wolves. Nevertheless his form got him noticed by Celtic, where Lisbon Lion Ronnie Simpson’s long and outstanding career was coming to an end. It’s reckoned that Celtic were also keeping an eye on another young Scot at Wolves, Frank Munro, who was eventually signed by Celtic 8 years after they signed Evan. In any event, Wolves lent Evan out to their Midlands neighbours Aston Villa, at the beginning of season 1969-70 and he was their regular keeper during that loan spell. During that time Celtic told Evan they wanted to sign him, so that when his loan spell ended, although Villa wanted to sign him and Wolves wanted him back for their first team, he headed back up to Celtic and made his league debut for them in December 1969. Ronnie Simpson was still a Celtic player when Evan arrived halfway through season 1969-70, and John Fallon was actually the first team keeper. However, John Fallon fell ill and in the remaining part of his first season at Parkhead Evan was first choice keeper. It was all a bit of a dream for him in his first season as he went from being on loan to playing for a Celtic team which not only won the league, but got to the Scottish Cup final and perhaps most dream-like of all, the final of the European Cup against Feyenoord. Many Celtic fans remember that game in May 1970 in the San Siro stadium in Milan against the Dutch champions from Rotterdam as being Evan’s best match for the Hoops. Going into the game Celtic were firm favourites and with 7 of the Lisbon Lions starting the game that was perhaps understandable. The other three Celtic players in addition to Evan who weren’t Lisbon Lions were pretty impressive themselves: Yogi Hughes, John Brogan and David Hay. However, Celtic were well below par and after 90 minutes the game stood at 1-1 and went into extra time. If it hadn’t have been for Williams in goal, the game would have been over long before then. In extra time Feyenoord got a second goal and held on for a deserved 2-1 win. It’s a typical paradox of football that a player should be remembered positively for a game that his team lost, but the view was universal that if it hadn’t been for Evan Williams’ display Celtic would have been overwhelmed. Another quirk of the game is that the only other Vale man to play in a European Cup final, John O’Hare with Nottingham Forest, is the cousin of Evan’s wife Anna. A first season like that was a hard act to follow, but 1970-71 was pretty good for him too as he was first choice keeper in a Celtic team which won the League and the Scottish Cup. 1971-72 wasn’t too shoddy either as they repeated that feat and added a European Cup semi-final. Over the next two seasons he gradually drifted out of the first team squad at Parkhead and left at the end of season 1973-74. However, Evan Williams had a good run at Celtic. He played in around 150 games, had an excellent record in the Old Firm derbies including a number of shut-outs, won 4 League titles, 2 Scottish Cups and was their hero in a European Cup Final. Most players would happily settle for that. However, we’ll leave the last word on his Celtic career to Jock Stein who said that pound for pound Williams was his best buy. In 1974 Evan signed for Clyde, then in Division A in that league’s last season, and was their first choice keeper for the season which he played for them. The following season, 1975-76, he helped out his friend and former Celtic colleague John “Yogi” Hughes who was then managing Stranraer and who had a goalkeeping crisis. His regular keeper was injured and Evan stepped in for a few games. Who was the injured Stranraer keeper? An old adversary from the other half of the Old Firm, Billy Ritchie. After that Evan quit senior football and returned to where his career had started – Millburn. When Bobby Duffy went up to Dornoch about 1978 Evan took over as manager of the Vale and in season 1978 – 79 he got the Vale promoted to the Central League’s B Division. At about that time, too, he bought the Eagle Inn on Main Street Bonhill near the Burn, a long-time Vale institution which had seen better days. Under his ownership it returned to its former glory and was a busy and successful watering hole until another bout of foolish redevelopment and road re-alignment saw its demolition. Evan is still about the Vale and can also still be found at Parkhead on match days hosting guests in the hospitality suites. Donnie Wilson had three separate spells with Vale Juniors. He signed for Clydebank from the Vale in 1969, but came back to the Vale in 1971. However, he wasn’t back at Millburn long because he signed for Alloa Athletic for season 1972-73 and played regular first team football for Alloa for 6 seasons from 1972-73 until 1977-78. In 1978-79 he moved to Stranraer for a season before returning to the Vale for season 1979-80. In his senior career he played over 170 games, scoring 42 goals in all competitions.